Etha Struick has been a professional circus performer & New Circus choreographer since 1981, having worked with pioneering circus and theatre groups and festivals in 12 countries.Searching passionately for new forms, Etha was fortunate to be trained by the venerable Osmanisisters.They taught her their finest main á main acrobatics and all that belongs to the work in the circus. ‘From that moment, the circus became my life’. 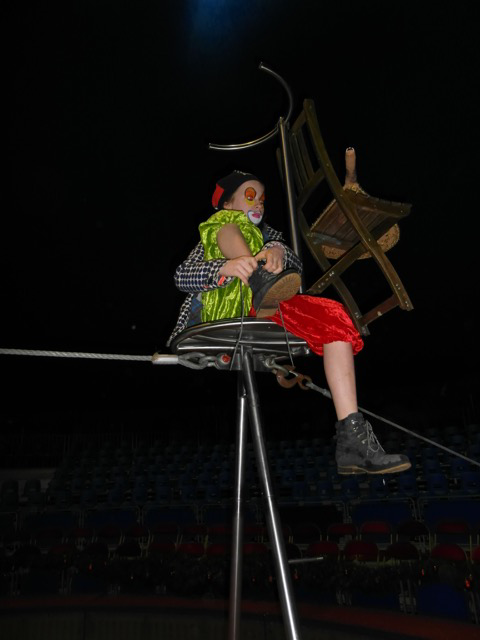 Etha has worked in circus and mime schools in London, Amsterdam, Barcelona, Brussels and Antwerp. This means more than 30 years of international experience in the New Circus and mime field similar to ‘the Cirque du Soleil’ style circus- and theatre events. Etha has created her own circus language that works. Etha makes contemporary circus acts fused with urban dance , Commedia and innovative use of staging, creating spectacular and poetic New Circus work. In addition she was house circus choreographer for De Acrobaat and Circus Ramblas and worked also as a circus and mime choreographer for Sahayogtheatre and Theatre 020, creating spectacular acts. After Etha’s circus career as a performer came to an end, she was house choreographer in different circus and theatre groups. Etha started her own circus school De Acrobaat with a high level of circus technique and creativity with one wish : to help more than 200 youngsters (6-20 years) to achieve their circus dreams. In Theatre 020, Struick grasps New Circus as theatre discipline in a whirling and fresh Music video style. After seven wonderful years, Etha searched for new directions. 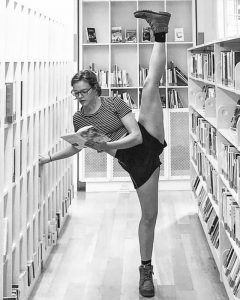 Now, Etha, works fully as a New Circus Choreographer, events organiser and illustrator. 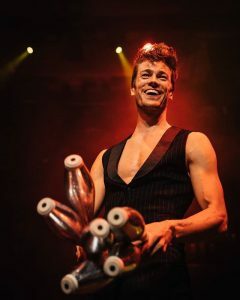 Bart isn’t just a guy who loves being on stage, he is also a multiple dutch juggling champion and regularly my circusassistant already for 12 years. He is a joy in sympathetic manner to work with. Born into a family of circus artists, both her parents worked in Cirque du Soleil, and based Cirque AKYA. Franka studied at the École Nationale de Cirque de Montréal as well as at the Quebec Circus School. Franka specializes in aerial hoop, contortion and german wheel, she did close to 300 shows. Ricardo is my third enthousiastic and inventive Circusassistant. He is allround entertainer, make up artist and stylist. He works with me since 2017 on various productions. Through her choreography it is clear that Etha Struick has a wealth of experience, both in Holland and internationally. Etha’s enthousiasm is infectious and due to this she is able to create circus tableaus, that appeal to all kinds of audience. Following the wishes of the director or film producer and being able to assess the skills and circus abilities of the performers, Etha is able to make poetic and spectacular circus- and movement choreography come to life. Allthough I would not be involved in a circus act myself, If for some unbeknown reason I found myself in one, I would choose Etha, to guide me. Etha has been consulting for me now for three years and has made a considerable difference to my business. Her skill is to think completely out of the box. This has enabled her to produce brand sensitive solutions repeatedly. Etha is an asset to any organisation. Etha Struick is one of the team members that has received the accolade of the Dutch National Culture Award, the Prins Bernard Cultuurprijs. Etha has helped evolve a new style of theatre, in which a fusion of dance, circus,multi media, drama and interaction with the audience are to be found.